The first method that we employ to acquire C-Arms is to buy directly from facilities. We have an acquisition department whose sole focus is to make outbound calls to hospitals and clinics in an effort to locate equipment that is available for purchase. Having been in the industry since 1993, it is also very common for facilities to call us directly when they have equipment for sale. 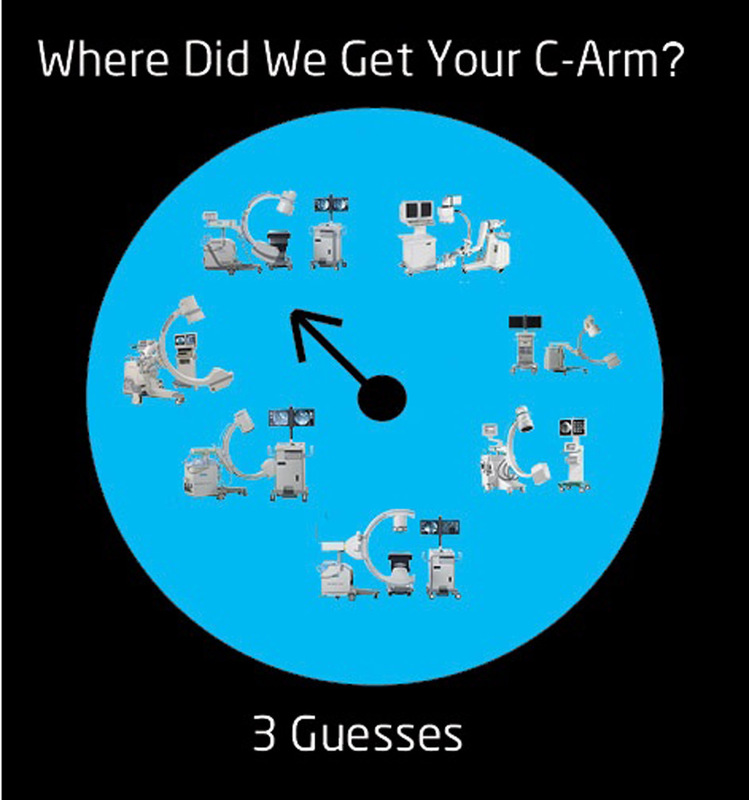 In addition to the outbound and inbound calls, we always give our customers the option of trading in their older C-Arm for credit towards purchasing a different C-Arm from us. Another source of equipment are banks, financial institutions, and other leasing companies. C-Arms that are financed using a Fair Market Value lease where the customer does not choose to purchase the unit at the end of the leasing period are then taken back by the financial institution. Unfortunately, it is also an all too common occurrence for facilities to go bankrupt or to be delinquent on their lease payments, forcing the banks to repossess their imaging equipment. In either of these two scenarios, the banks have a group of companies where they offer out the equipment to the highest bidder. It is also very common for us to purchase equipment directly from the manufacturers. Similar to the practice that we employ, the original equipment manufacturers (OEMs) offer their clients the option of trading in their older equipment when buying new. When this happens, the OEMs tend to offer out the traded-in equipment to the highest bidders just like the banks do with their equipment. There are a lot of companies in the pre-owned imaging equipment field and more often than not, we work very well with one another. That being the case, we often buy and sell to one another when one company has a system that another company needs. We try to keep inventory in stock to enable us to sell our customers the exact systems that they need when they need it. With that said, in the event that we do not have stock on a system that our customers are looking for, we do not hesitate to contact one of our competitors. No matter where we acquire your C-Arm from, we always perform a vigorous inspection to ensure that the system is suitable for resale. From there, it goes into our refurbishment process and our work begins.